My role at Te Papa revolves around creating opportunities for our visitors to engage with Te Papa content. I was part of the team that developed the DeClassified exhibition, which you can check out on level 3 at Te Papa. This exhibition has an additional interpretive layer which enables people to contribute data to scientific discoveries in New Zealand. All good cooks test their dishes, so with this in mind I set out to test the process. At my Mt Victoria flat, we have a fairly high population of spiders in residence. 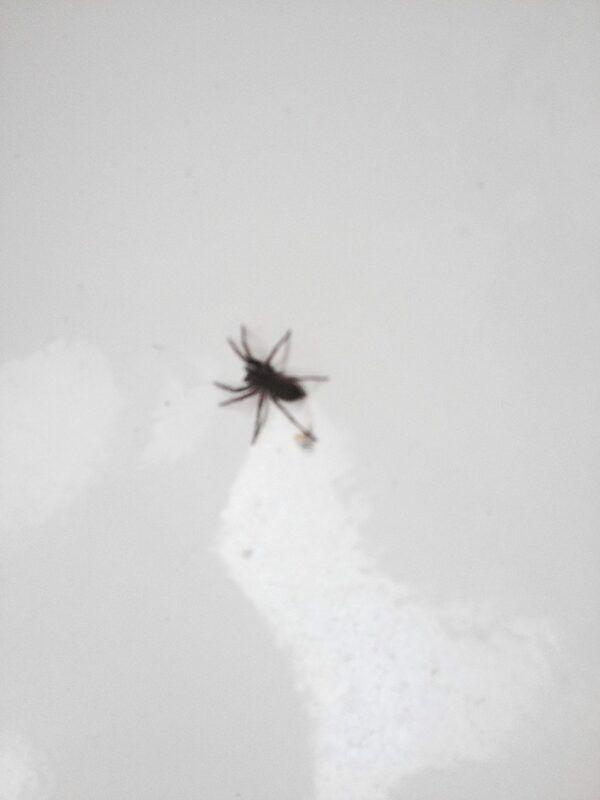 One has recently appeared, hanging out in the bath and pretty much just relaxing. It’s quite big and is apparently quite alarming, particularly to my nine year old flatmate. This spider’s presence is much less alarming than a similar situation I had in Melbourne, in which our flat became home to a family of Huntsman spiders, a large species which added an element of arachnophobia to domestic life. Anyway, given the New Zealand context, this most recent bath dwelling dude seems completely harmless, so I was able to approach confidently and snap a few shots. 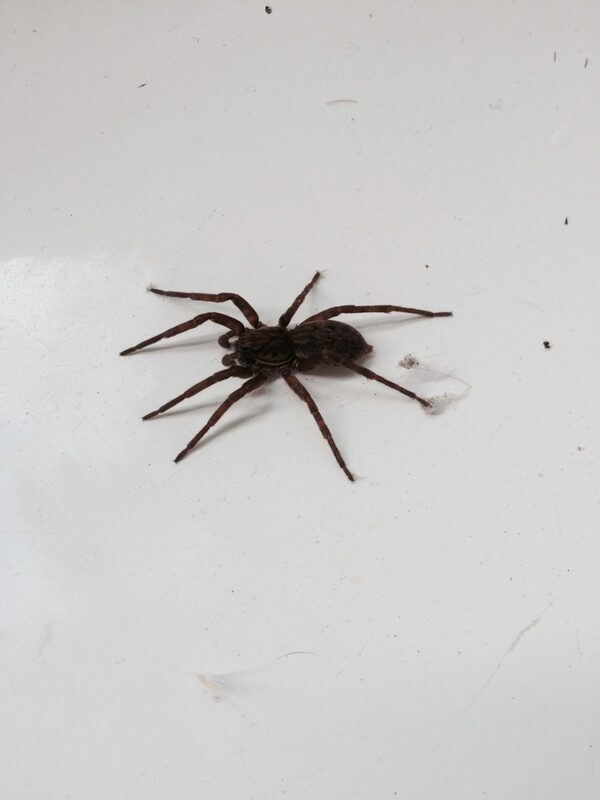 Admittedly not a great photograph: Brown Vagrant spider relaxing in bath, 18/12/14, Photograph by Jonathon Kelso. Using my handy NatureWatch app I was able to quickly upload the image, lock in my location and write a description. 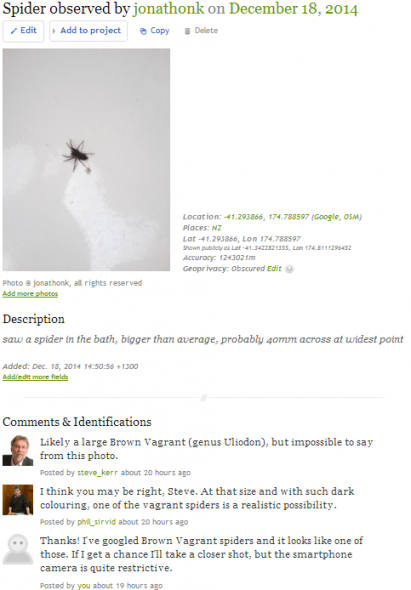 I uploaded this to the NatureWatch “Spiders with Te Papa” Project and waited for an expert to take the bait. It didn’t take long; Steve Kerr quickly replied with “Likely a large Brown Vagrant (Genus Uliodon), but impossible to say from this photo”. Okay, I have to admit my photo was substandard, but as a first time spider photographer I was reasonably happy with it. This was the first accidental lesson I learned, good photos are useful for identification. Next up, Phil Sirvid jumped in with “I think you may be right, Steve. At that size and with such dark colouring, one of the Vagrant spiders is a realistic possibility.” With a quick double check via Google image search I was able to identify our resident spider, a Brown Vagrant, relaxing in the bath. I was very impressed with how straight forward this was, and look forward to impressing other people with my newly acquired spider knowledge. NatureWatch screenshot, 18/12/14, screenshot by Jonathon Kelso. Photograph taken for work purposes. This small moment of discovery may not seem like a paradigm shifting moment in the progress of Science, however the small discoveries are in many ways just as important. Sometimes species may be found in places they were not previously expected to be in, or it may be that an entirely new species is found. By enabling everyone to make discoveries we are aiming to contribute more widely to the data accumulated about all the different types of biodiversity we have in New Zealand. We also hope to enable our visitors to accumulate new skills and to become aware of scientific processes. I went back later that day and took a better photo. Sadly Mr Vagrant passed away the next day when my flatmate ran a bath R.I.P. 18/12/14, Photograph by Jonathon Kelso. I nearly swallowed one of these today! It was in a glass and when I filled it with water the spider must have floated to the top – luckily for me I did not take a big gulp but just felt it brush my lip. We carefully liberated ‘him’ out the window. Love all Te Papa’s blogs. Love the title of the blog and also the name of the spider. the only brown vagrant in our bath is usually just me! Thanks for the pointer to the NatureWatch App, will download and try to take a better snap then you did.